Would you like a place to train that is quiet, client focused, and supervised by an expert trained therapist?! This is perfect for you and your friends, with Personal Training Gold Coast individualised supervised programs for 1 on 1 and small classes (max 3). Functional Strength and Conditioning is now being offered by our Physiotherapist’s and Exercise Physiologist/Sports Scientist at Ferry Rd Physio, who have extra accreditations in this area of expertise. This is a specific form of personal training, prescribed and supervised by our professional therapists. Our Personal Training Gold Coast program involves a structured functional exercise regime that enables clients to meet their goals, whether that be to pursue a healthier lifestyle, for rehabilitation following injury or surgery, or to compete and perform at the highest level. Our Personal Training Gold Coast programs are tailored for each individual, according to their physical assessment and goals they want to achieve through the program. Typically, the first session is a consult between yourself and one of our accredited physiotherapists, whereby a thorough history is taken, along with your goals for the program, and a physical assessment of current capabilities. 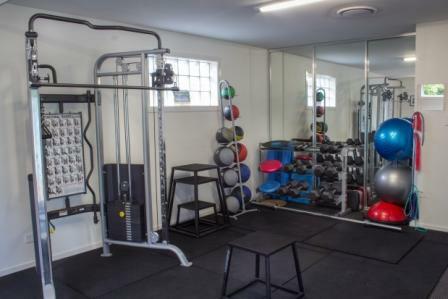 From here, we can structure a supervised strength and conditioning program, that can be undertaken at our Personal Training Gold Coast Clinic gym, to make sure the movements and techniques are correct and beneficial. 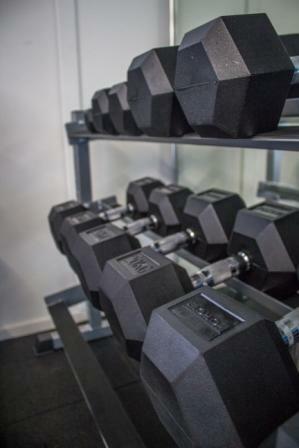 Our gym is fully equipped with cardio equipment (Spin bike, Treadmill, and Concept 2 Rower) strength equipment (Medicine Balls, Swiss Balls, Dumbbells, and a functional training cable system), and motor control equipment (wobble boards, bosu balls, functional training cable system). We are able to run one on one classes with our clients, as well as small group time-slots (max 3 clients). All these classes are supervised, and individualised for each and every person.